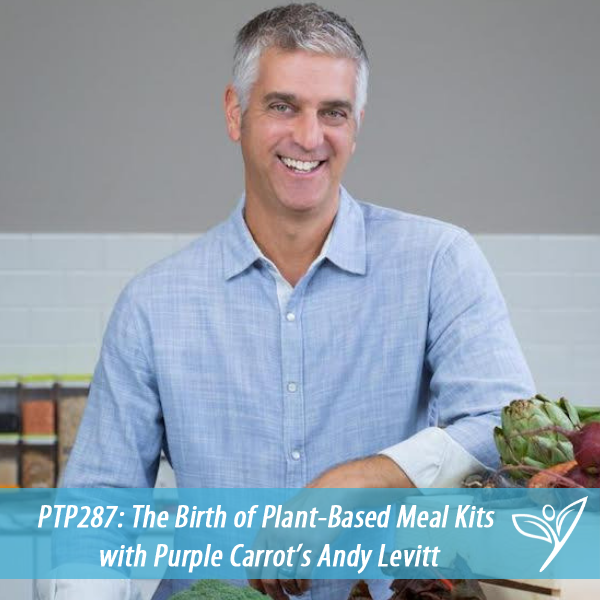 In this episode of The Plant Trainers Podcast, we talk with Andy Levitt, founder of the ever so popular Purple Carrot. Truth, we were not really sure where this episode was going to go, but with Andy’s honest and vibrant personality, we were able to get all the answers we wanted. How did he get the inspiration to begin a fully plant-based meal kit company when he wasn’t even plant-based, yet? How did his Crohn’s play into the picture? Who is consuming the vast amount of plant-based meal kits and why? Is Purple Carrot just preaching to the converted? And then there is the idea of children and how their unique personalities make them a driving force in the world. While this podcast is about information and is not an ad at all, we wanted you to know that we had the opportunity to try a kit while we were down in Florida and it was easy and delicious. We hope you saw the pics on our Instagram Stories. We must say, this was an extremely personable podcast and we hope you feel the love. 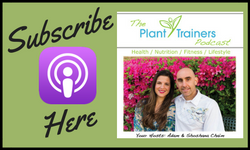 Please join the conversations happening on social media, specifically @plantttrainers on Instagram and if you are Purple Carrot consumers, please tag us in your posts! After being diagnosed with Crohn’s disease in 2012, Andy began incorporating more plant-based meals into his diet to combat his illness. When this lifestyle change literally altered the course of his disease, Andy left his 20+ year career in pharmaceuticals and launched Purple Carrot out of his garage in October of 2014 with the mission to educate people about the power of food as medicine – and to introduce consumers to the health and environmental benefits that stem from plant-based eating. Today, the company is recognized as the first and only 100% plant-based meal kit, delivering fresh pre-portioned ingredients and simple step-by-step guides for people to make delicious, healthy plant-based meals in 40 minutes or less in the comfort of their own home. Working to educate consumers on the 20,000 edible plants available today, Purple Carrot creates six seasonal meals every week that make vegetables the star of the show without being dull or boring. Since launching three and a half years ago, Purple Carrot has established itself as a key player in the $2.2 billion meal-kit space, having experienced a staggering 400% growth since 2017.